Everything you need at a standard price. Collision Waiver Damage included as standard. No hidden extras. 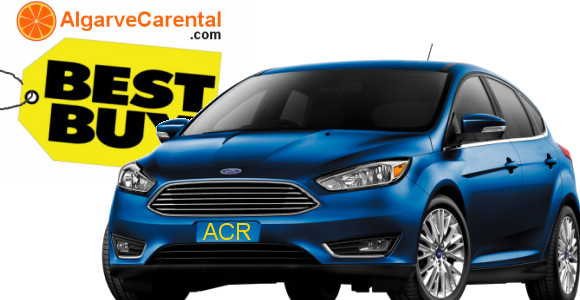 Rent a Car Deliveries to hotels, villas and resorts all over the Algarve. So you can have the best holidays in Algarve in relation to car rental for your journeys trhoughout the Algarve. We only deliver cars in the Algarve, Portugal. Besides the international airport of Faro we also deliver our rental cars at your accommodation, hotel, villa or resort upon request and subjected to a small surcharge depending on the location as shown in the booking form. "Rent it here, leave it there" is possible throughout the Algarve subjected to a surcharge depending on the locations (see below). Minimum drivers age is 23. Drivers with less than 25 years old are subjected to a "young drivers insurance"
Drivers license must be valid in Portugal and held for more than 2 years. Please ensure to have all necessary documents available for prove. Reservations must be made no less than 24 hours before your arrival in Portugal to guarantee a booking confirmation. Baby/child seats are available upon request. Please mention your need of a child seat within the reservation form to guarantee availability. Each car may have more than one named drivers. Adding an additional driver is subjected to a € 20.00 charge. We require a valid credit card deposit for security reasons. Cheques or cash cannot be accepted. The credit card deposit will be fully refundable when car is returned damage and loss free. Exceptionally we can accept a debit card for security deposit but in this case the subscription of Loss Damage Waiver (LDW) is necessary. By purchasing the Super CDW the required deposit will drop by 50%. At Faro Airport you will be received by our rep at Faro airport car park 4. For collections at your accommodation the car will be delivered to the address you wrote in the reservation form and after confirmed by a phone call. Anyway please stay tunned to receive the confirmation message after you made the reservation as it contains the full details for pick up. Extra 15 Euro - Faro Airport Taxes, from February 2015. Faro Airport ANA will apply Airport taxes. One rental day is equal to 24 hours. Any fraction of time beyond 24 hours is considered as an additional rental day. Rates for rentals of more than 3 days and less than 7 days are based on the 6-day pro rate. Rates for car rentals of more than 7 days are based on the 7-day pro rate. Full payment is required upon signing of the rental agreement. Payment must be made with a valid credit card (Visa/Master/EuroCard, Diners Club) or in cash (including foreign currencies). Foreign cheques cannot be accepted. SPI Insurance. All insurance, extra € 6/day, to cover locks, windows and tires. (Needs Super CDW). Soft Roof Rack, cost 75 euro per booking, ideal for surf boards. These options should be included in the reservation to guarantee delivery availability when you collect the car. And they will be also added to the confirmation message you will receive after your booking confirmation. Note: A Police report: "Auto de ocorrência" is always requested for the insurance company to cover, no matter the circumstances of the accident or damages to the car. When making the contract we will generally book a pre-authorisation for the security deposit amount of your rental vehicle on your CREDIT CARD. Please note that the security deposit may still be required even when you reduce the excess to zero. Depending of the purchase of additional insurance the security deposit can be lowered. A deposit will be placed on your credit card to cover the excess in case of damage or theft. Be sure to bring a credit card in the driver’s name, along with a credit limit sufficient to cover the excess/deposit. If the car is not damaged or stolen, the excess deposit on your credit card will be fully refunded when the car is returned. If the client doesn't have a credit card we accept a DEBIT CARD for the Security Deposit but in this case the purchase of the Loss Damage Waiver (LDW) is compulsory. 1) Key locked inside the vehicle: In the event of the key being locked inside the vehicle. 2) Breakdown caused by lack of fuel. 3) Assistance due to flat battery. 4) Loss of key: In the event of a lost key. 5) Immobilization of the Vehicle, in the event that it is not possible to move the vehicle. All services may only be ordered by a direct claim to the phone number in the contract. We will determine the type and extent of service required to ensure the client can continue the journey. If any damage on the rental vehicle occurs, which is not covered within the scope of the Roadside Protection, the renter is liable for such damage. - Insurance to drive to Spain - 50 Euro. The optional cross border insurance for Spain only provide road side assistance up to 250 km from the Portuguese border town of Vila Real de Santo Antonio. Beyond 250 km it is the renters responsibility to arrange repair or return of the rental car. In case of accident a Police report (AUTO DE OCORRENCIA in portuguese) is absolutely necessary. Without it the insurance company will not cover the damages. Click here for more information about what to do in case of accident. We decline damages not report to the Police. It is compulsory that the client deliver the Police report when return the car hire. If you wish to take the Vehicle outside the country of rental, you must check that our Terms & Conditions so permit you and, where necessary, obtain the car hire company prior written consent. You must take care of the Vehicle, keep it in good repair and condition, pay any fines for which you may be liable, reimburse the car hire company for any damage to the Vehicle, and refund the car hire company for any costs it incurs. You are liable for all fees, taxes, fines and penalties incurred in connection with the use of the Vehicle and for which Car Hire may be charged, unless they have arisen through the fault of the company. The Car Hire company will apply Administration charges for the answer of fines! with a roof rack, luggage carrier or similar, unless supplied by us. Pushing or towing another vehicle (except those vehicles equipped by the Car Hire company with a towing-hook; maximum load 1,000 kg), or exceeding the authorised load weight. Travelling on non-paved roads or on roads, the surface or state of repair of which could put the vehicle's wheels, tyres or its under body mechanics at risk. None of the goods and baggage carried in the Vehicle, including their packing and stowage equipment, will be permitted to damage the Vehicle, nor put the occupants abnormally at risk. We reserve the right to alter or change the conditions on our webpage, confirmation email, contract agreement or cancellations, without prior notice.